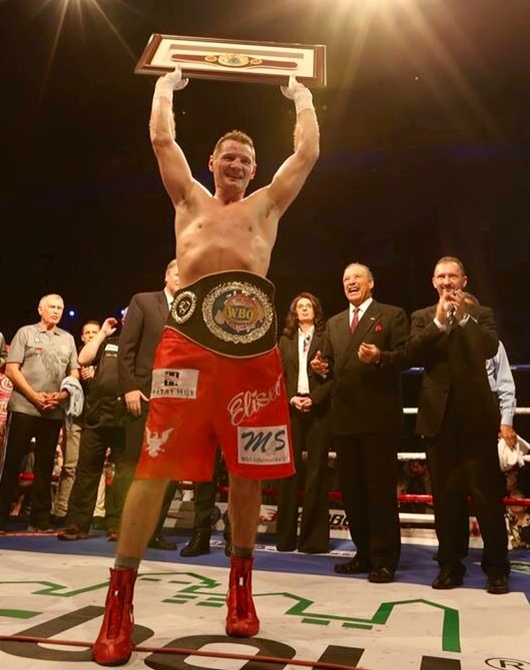 Hungary – Zsolt Erdei said “farewell” to boxing with the same type of performance that he’s given to the fight game during his thirteen-year long professional career -methodically, one-sidedly and extremely boring. In his last fight, the Hungarian master hardly showed any glimpses of greatness, instead giving no chance to Georgian import Shalva Jomardashvili (36-7-2, 27 KOs) over ten tedious rounds. Erdei moved well, used jabs and uppercuts, hurt his foe a couple of times but the fight was way far from being finished prematurely. Scores were announced in Hungarian. BoxingScene had it 100-90 – for the Hungarian master. Erdei, 39, retires from boxing with almost perfect record of 34-1, 18 KOs, his lone loss being a controversial split decision to Denis Grachev the last year. As an amateur, Erdei was 1997 world and 1998/2000 European middleweight champion. The Firebird – his most popular nickname – took part in two Summer Olympics (1996 and 2000) but didn’t won any medals, compiling a respected record of 212-20 in process. As a pro, Erdei took his three years to get himself ready for new challenger at a higher weight class. His stellar moment came in January 2004, when Erdei upset Julio Cesar Gonzalez to take his WBO light heavyweight title and to avenge the loss of his teammate and European legend Dariusz Michalczewski. Erdei went on to hold his title for five and a half years, retaining it eleven times. His opposition was mixed: Erdei defeated three world champions a total four times during his 175lb title run but also fought and won against hardly memorable opposition like American journeymen George Blades or DeAndrey Abron. In 2009 he moved to cruiserweight and acquired a vacant WBC title in a fight against former champ Giacobbe Fragomeni. He was already sliding in that fight, and the very end of his career was spoiled with a promotional mess (with a decline of Universum Boxing Promotions) and a chain of injuries. All in all, Erdei was hardly an IBHOF nominee but rather a solid, typically European champion, whose real potential was clouded by careful matchmaking and a streak of domestic defenses (as Germany serves as his boxing homeland). He deserves to be remembered for quite a time though, and his accomplishments make him second-to-none Hungarian pro, which is quite a feat.